Projected Impact in New Jersey for Hurricane Sandy | The Voss Law Firm, P.C. New Jersey is projected to receive the brunt of the rain and flooding from Hurricane Sandy. As of 11:00AM on Monday, more than 10,000 New Jersey residents were already without power from Hurricane Sandy, and most of Atlantic City is underwater. 115,000 residents were asked to evaluate the state’s barrier islands, although there’s no data about how many people followed the evacuation orders. The projected impact for this storm is dramatic in New Jersey - the Garden State Parkway has closed in both directions south of Exit 38 because of flooding, and travel within the sate is limited. The storm surge combined with high tidal waters due to the full moon have combined to create a historic record-level flood event. Towns across the state have issued voluntary evacuation orders, although some have made them mandatory. Many homes in Ocean City are already flooding, and people are out sandbagging and boarding up windows in a last-ditch effort to minimize damage. 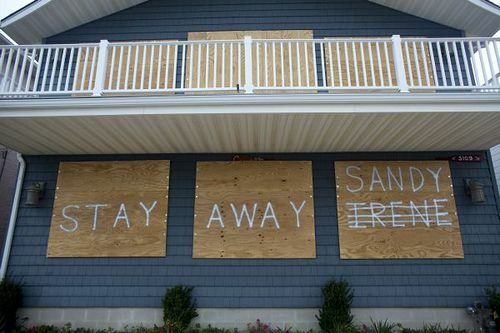 There’s no doubt that Hurricane Sandy is going to cause millions, if not billions of dollars of damage in New Jersey. Flooding alone is going to send many homeowners in search of temporary shelter, and insurance companies are going to get bogged down in processing claims after the storm is over. Hopefully the loss of life will be minimal, but with waters rising quickly, those who haven’t already heeded evacuation warnings may soon be trapped in flooded areas. Our thoughts go out to those in the direct path of the storm in New Jersey. While this huge storm is going to impact millions of people along the Eastern Seaboard, New Jersey residents are going to bear the brunt. Damaging wind, possible record-setting flooding and prolonged power outages are going to cause serious issues for NJ residents in the coming days. Be safe, everyone. Here at The Voss Law Firm, P.C., our thoughts are with you.